In Store Only: Present this coupon in store and get 20% off your entire purchase. Includes full price items and sale items. Printable: Present this coupon in store and get 20% off your entire purchase.. Includes full price items and sale items. 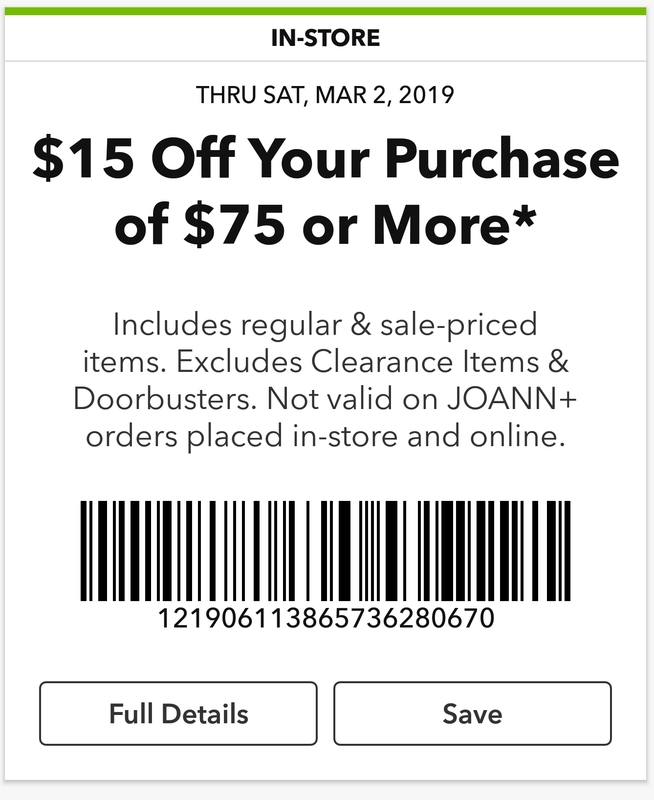 Printable: Present this coupon in store and get $5 off your entire purchase over $35. Includes full price items and sale items. Excludes clearance items and doorbusters. Go here to print a $10 off $50 coupon or $15 off $75. 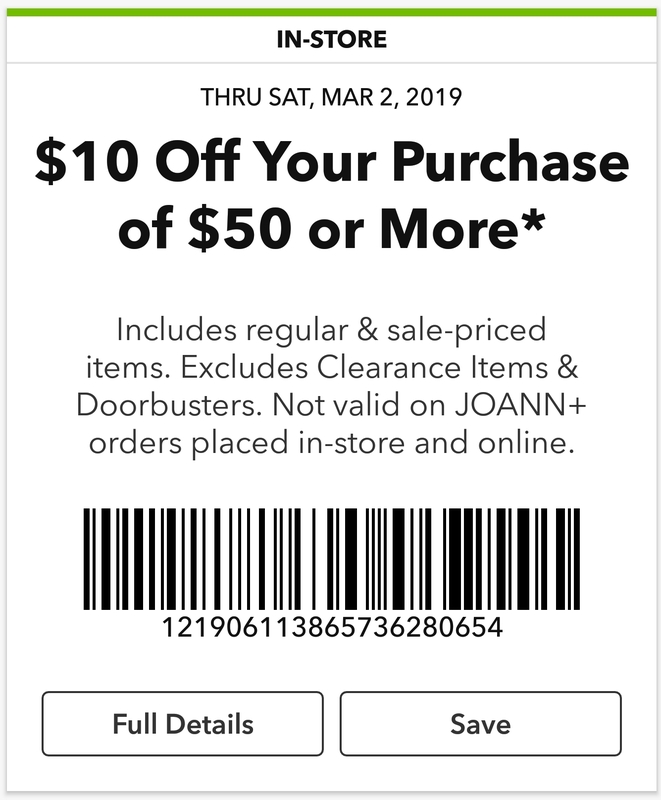 In Store & Online: Print this Joann coupons and present them in their craft stores to get 50% off your total purchase of regular price items.